Today’s blog post is very special and exciting! I have partnered with Equi-Spa and they were so generous and kind to be able to send me some of their products to try out. If you do not know what Equi-Spa is, it is a company that has products for horses that are natural and made with essential oils. They have many different products from their Fairy Tails Spray for your horse’s mane and tail to their Cool Muscle Wash for overworked muscles. So, today I am reviewing the three products that they sent me! Welcome back to Horse Chats! 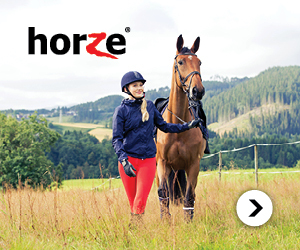 Do you have troubles catching your horse? Do you want some simple tips for more success with your horse? Well today, I got your back! I had some troubles with my horse, Sky, a while ago where she was very hard to catch, but with the tips I have learned from my trainer and riding friends, I was able to correct it and I now know the methods that work for her. So I totally understand if you are having the same struggle because at times it can be very frustrating! Today, I am going to be giving you 10 tips on catching the uncatchable horse which might be what you are experiencing with your horse. Enjoy! Welcome back to another blog post! Can you believe that we are in mid October already? This entire year has gone by SO fast. For today’s post, I am collaborating with Cyrine Cherif, who is a fellow Equestrian blogger and a professional show jumper. Cyrine has over 18 years of experience working with horses as well as coaching and mentoring many riders, from beginner to advanced. Can you believe that Horse Chats has been a blog for over two years?! That is sooo crazy! In today’s post, I am going to be sharing with you some of my favourite blog posts in the past two years! If you are a new follower of the blog, this might be helpful to you as you can see some of my past blog posts! Enjoy reading 🙂 I have separated these posts into categories: insights, my favourite things, riding tips, collaborations, and other favourites! Happpppy Monday everyone! Today, I am giving you my current top 5 favorite equestrian blogs and an extra bonus blog (because I have more than 5 haha). These blogs are all fantastic and definitely have given me insights into both riding and blogging. All of these bloggers have big followings and definitely know what they are doing! Some of them are horse trainers and some of them are equestrian fashion bloggers (which I LOVE)! I hope that you enjoy this post and maybe you will discover some new blogs that you haven’t visited before!